On August 14, a Short-billed Dowitcher (SBDO) was photographed at Negri-Nepote Native Grassland Preserve by Carolyn Arnesen. SBDO is a very rare Somerset County migrant. Little Hannah’s Pond continues to attract interesting species. At the same time the SBDO was at the pond, a young Broad-winged Hawk was in the same vicinity. A stunning Lawrence’s Warbler was found at Glenhurst Meadows on Sunday, Aug. 17 (Jeff Ellerbusch, Roger Johnson). Other warblers reported include Blue-winged, Black-and-white, Blackburnian, Prairie, Common Yellowthroat and American Redstart. Bobolinks are also frequenting the meadow. 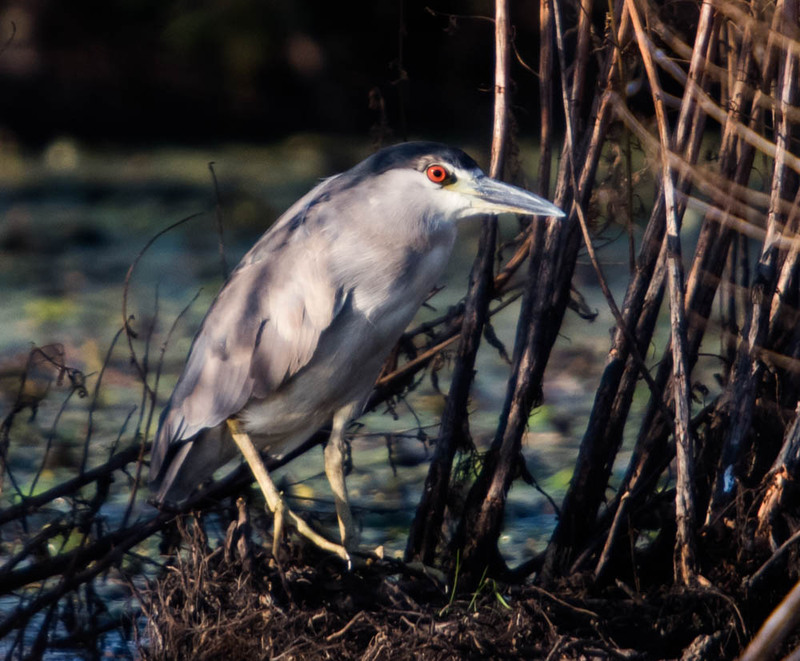 Melanie Lane Wetlands continues to host 6 Little Blue Herons, a pair of Great Egrets, Great Blue Herons and Green Herons. Sunday, Aug. 17, 2 Black-crowned Night-Herons joined the group (Chuck Hantis). Friday, 8/15/14, from 6:45 – 7:15 pm watching from my backyard – I’m on the east side of a minor ridge and one block from a lake. 4:30 pm Bald Eagle (adult) I’m coming around a corner and this bird is coming off roadkill (opossum) right at my car. I had not one but two cop cars behind me. I slowed, rolled down my window and pointed. They slowed and I’m sure saw it. This entry was posted in Morris County, Somerset County and tagged birding, birds, Dowitcher, migration, mocosocobirds, Morris County, nature, ornithology, somerset county. Bookmark the permalink.